Yes, Black On White is elegant - and frankly a bit unexpected for a birth announcement. But newborn babes actually respond most vividly to these extremes in color... so why not include them in the fun? 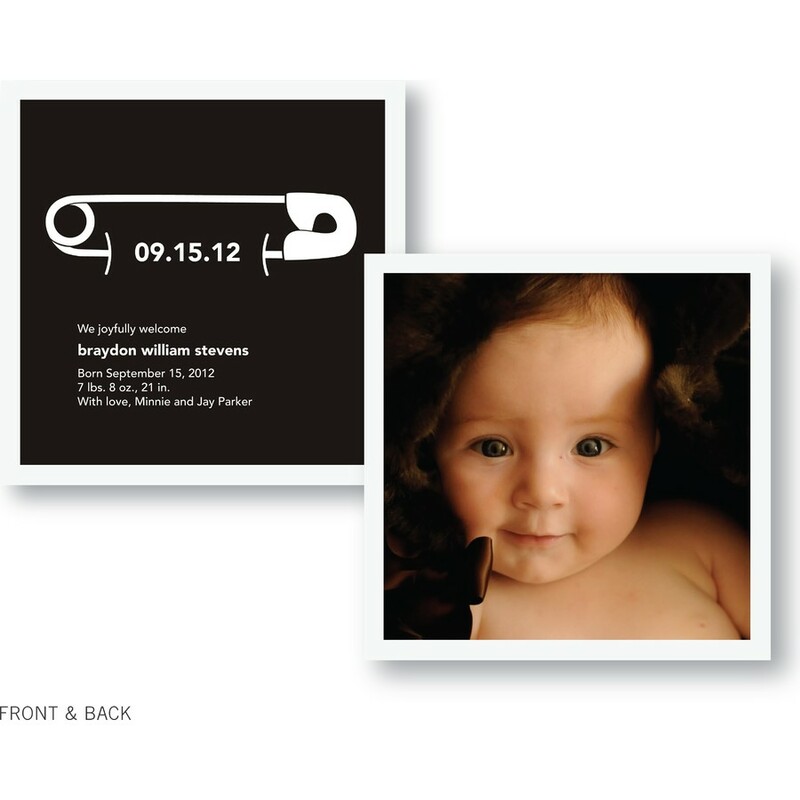 Our stylish card lets you share your news with flair to spare... and all you do is pick a photo. It's as simple as that.